The body of a Plexus unit can be fabricated from a variety of options. Datum Wholesale is the top manufacturer and wholesale supplier of commercial shade structures in the U.S. By choosing to be a Datum customer you will receive high quality materials, timely estimates, competitive pricing and professional service. We want to help your business in any way that we can! Keep reading to learn about some of the offerings at Datum. Aegis canopies are made with smooth lines, and the body of each unit can be fabricated in a variety of ways. 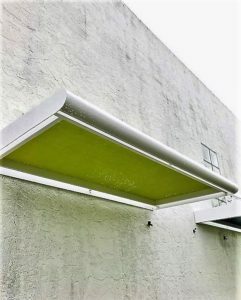 It can be designed to either provide shade or all-weather protection. These structures are crafted to perfection and comes fully finished. Also, you can incorporate fabric into the body of the canopy. The Plexus is a high quality welded aluminum product. There are multiple body options for this type of canopy. The body of a Plexus unit can be fabricated from a variety of options. This includes louvers, metal grates, and fabric. Also, they can provide full shade or minimal shade depending on your needs. The Shade Trellis offers features an open design and major coverage. This type of shade structure is made of high-quality aluminum and fabric. The metal and fabric material used in these structures contribute the overall visual appeal of the structure.